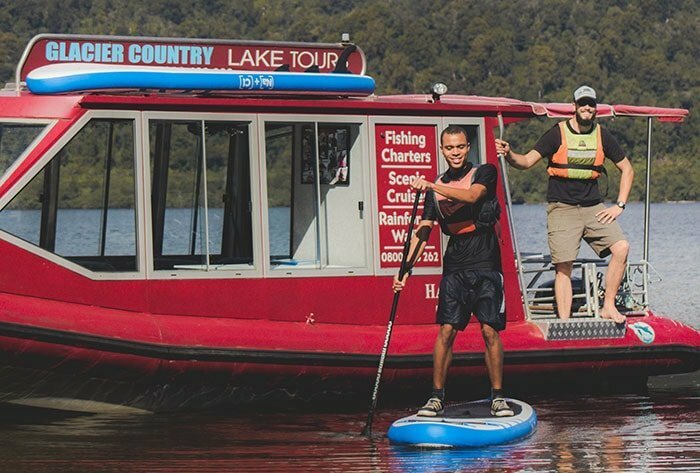 Enjoy a scenic boat cruise across Lake Mapourika before jumping on your SUP. 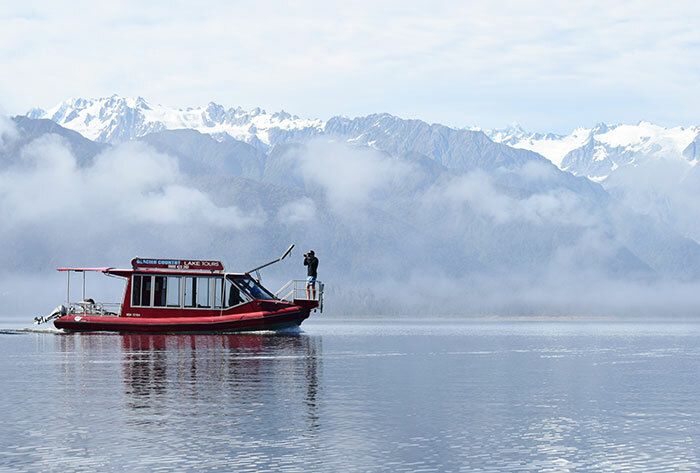 The sheltered shoreline of the Kiwi Sanctuary is where you’ll learn the ropes of stand- up paddling with a scenic glacier and mountain backdrop. Then you’ll follow your guide into a narrow estuary amidst lush native rainforest and into the heart of Okarito Kiwi Sanctuary. This is a Stand Up Paddle adventure like no other, and absolute must-do for one of NZ’s fastest growing watersports! No experience required, although all participants must be able to swim. Had wonderful two hour boat tour with the very knowledgeable Dale. Lake Mapourika is an idyllic spot with calm water and a lot of bird life. A must on a nice day. Thank you Sarah and I had a great time. This is an absolute NZ must do! We did the guided stand up paddle boarding tour that takes you across the lake and through a creek in the Kiwi Sanctuary. Dale is a great guide and is super knowledgeable about the glaciers, lake and kiwi conservation in the area. All the staff are super friendly. The lake and creek are absolutely stunning in the morning mist – some of NZ’s best scenery. Highly recommend this company, especially the SUP tour which is super fun, to anyone visiting Franz Joseph Glacier.